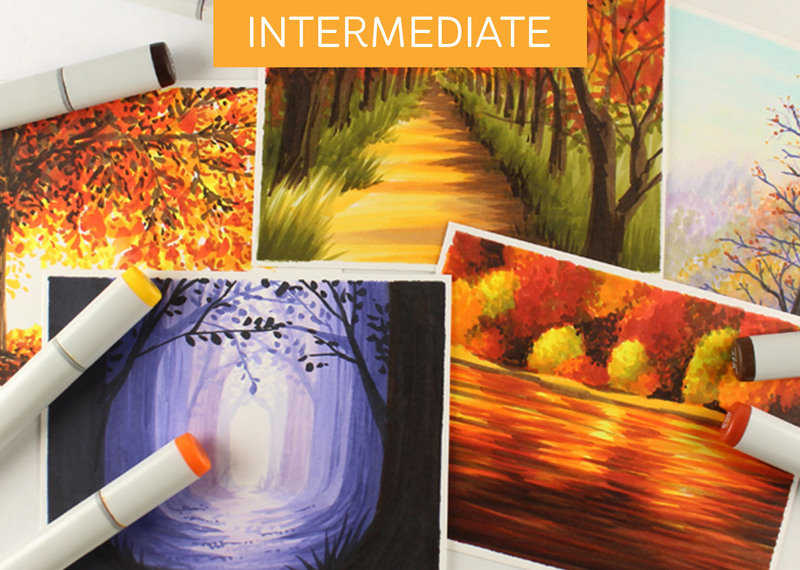 In this intermediate Copic Marker class, 5 lessons will teach techniques for coloring a wide variety of fall scenes. Each lesson builds upon the last, developing skills that lead to success in the following technique. This class is great because it uses a range of colors from very light to very dark, something I don’t usually do well.